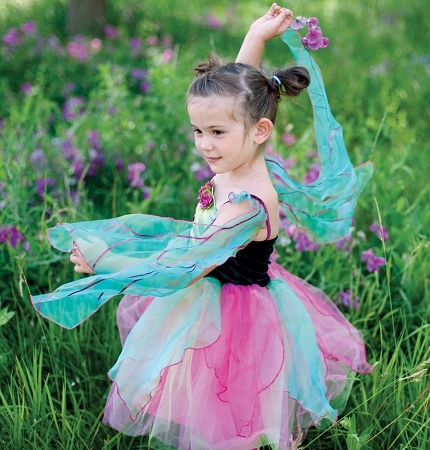 Fairy Blossom Dress with attached organza finger wings will make little princess really flying. This dress is in blue and purple combination of organza layers with matching flowers at the front for additional details. Fairy Blossom Dress is great for princess parties or every day. This dress also comes in teal/pink color.